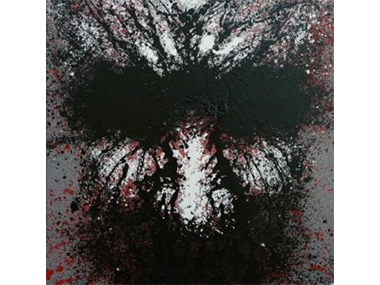 'Brutalities', one of the 2015 artworks that Vernon Ah Kee painted for the Istanbul Biennial. I reported earlier that we wouldn't know the names of the National Aboriginal & Torres Strait Islander Art Award judges until entries had closed on April 1st. But today the three names are released - Vernon Ah Kee, Kimberley Moulton and Don Whyte. I can only assume that the entries for this big year celebrating 25 years of Telstra sponsorship for the Awards were not gaining traction. Entries must be stuttering rather than pouring in – which is regrettable. But how will the early release of the names – held back by a belief that artists and art centres might be influenced in their choice of artworks by knowing the judges' names and assumed tastes? I can only hazard the guess that MAGNT Director Marcus Schutenko is keen to attract more urban art entries this year. For two of these judges are totally associated with the urban/Blak cause, and the pioneering selection last year of Yulparija artist, Daniel Walbidi as a judge has been hastily thrown over in 2016. I can't believe that such a selection shouldn't be part of the mix every year. Instead, we have one of Australia's most political artists – Vernon Ah Kee – founder of Brisbane's proppaNOW group and an increasingly international exhibitor in shows such as the current 'Everywhen' at the Harvard Art Museums, the 2009 Venice Biennale and recently in the 14th Istanbul Biennial. According to his Milani Gallery CV, Ah Kee has never entered the NATSIAAs; perhaps he prefers not to identify as an “Aboriginal artist”? I wonder how he'll overcome the feelings behind this quote from Aboriginal academic, Gary Jones in 'Artlink' magazine: “(Ah Kee) rejects the authenticity of ‘traditional’ Aboriginal art, contending that it is urban Aboriginal people and their art that is most authentically ‘Aboriginal’”. Kimberley Moulton is a Yorta Yorta woman from Victoria and Senior Curator of the SE Australian Aboriginal Collection at Museum Victoria. She has been a beneficiary of the Wesfarmers Indigenous Arts Leadership Program at the National Gallery of Australia and the British Council’s ACCELERATE program in the United Kingdom. In 2015 Kimberley was the inaugural NGA Wesfarmers Arts International Fellow, curating an exhibition for the Kluge-Ruhe Aboriginal Art Collection at the University of Virginia. Don Whyte is a legend in the NT. Primarily an art framer – including framing hundreds of entries into NATSIAAs since 1991 - he's worked with artists and art centres on various projects across the Top End for 30 years. Once described as the 'Impresario of Darwin', Whyte is also a philanthropist and provocateur. Marcus Schutenko, Director of MAGNT tells us, “The judges for the 33rd Telstra NATSIAA were selected for their broad knowledge of contemporary Indigenous art practice. Kimberley, Vernon and Don have diverse backgrounds and experience from different parts of Australia. We are looking to exhibit the very best Indigenous art produced across the country in the past year. The Awards remind us all of the perpetual evolution of contemporary Indigenous art and the significant contribution it continues to make on the Australian cultural landscape”. Entries close on Friday 1st April, 2016 with finalists to be announced on Friday 29th April, 2016. Indigenous artists and art centres across Australia are encouraged to apply soon to avoid disappointment. Read Jeremy's informative article on the 2016 NATSIAA's which includes an interview with Luke Sholes, the new Curator of Aboriginal Art & Material Culture at MAGNT. 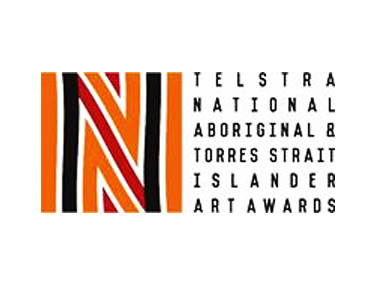 The first sighting of a new logo for the Telstra National Aboriginal & Torres Strait Islander Art Awards.